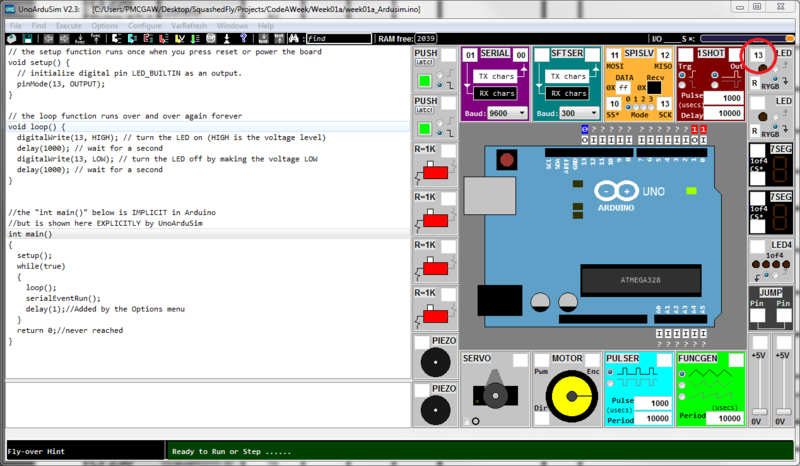 Following on from Week 1 and talking about faking it with an Arduino, we will use UnoArduSim.exe and iCircuit to model the first few circuits from the Oomlout.com’s “Experimenter’s Guide for Arduino” (Full kit was available from here). Oomlout have made the ARDX-circuit-sheets available separately to their guide PDF. Week 01a LED on Pin 13 in iCircuit. Week 01a LED on Pin 13 in UnoArduSim. Most Arduinos have an on-board LED you can control. On the UNO, MEGA and ZERO it is attached to digital pin 13, on MKR1000 on pin 6.
on a Physical board LED_BUILTIN is set to the correct LED pin independent of which board is used, however it does not work in simulation! Current Limiting Resistor on the Large red LED (It doesn’t matter if you put the current limiting resistor on the high side, or the low side of the LED. 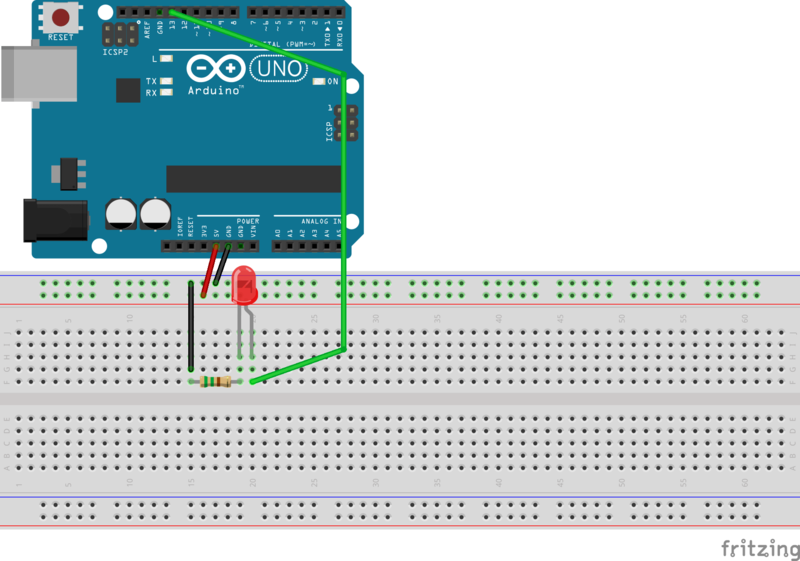 The LED is connected to pin 13 but we can use any of the Arduino’s pins. Along with digital (on/off) control the Arduino can control some pins using PWM1 this allows you to change the apparent brightness. 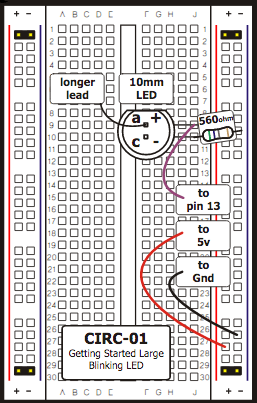 To have a go we need to change the LED to pin 9, both in code and by moving the wire (assuming you changed to a variable). analogWrite(LED, new number); // (new number) = any number between 0 and 255.
where 0 = off, 255 = on, and any number in between is a different brightness. 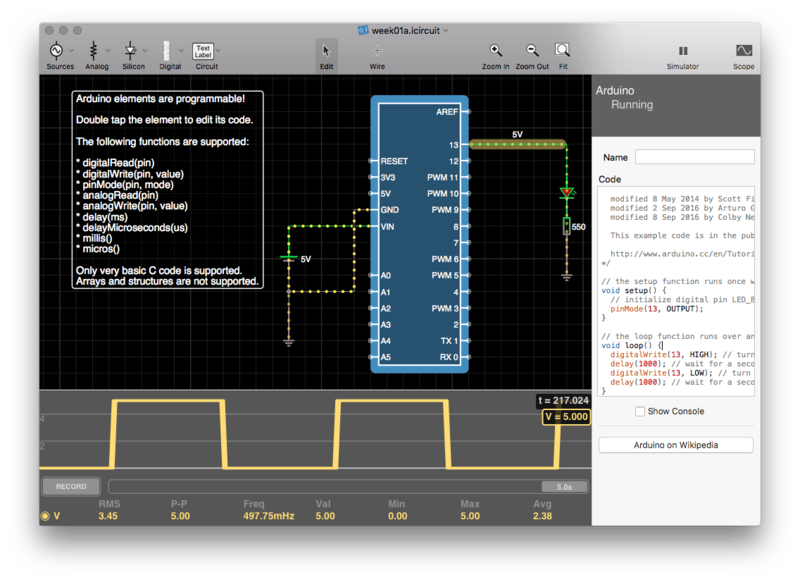 Pulse Width Modulation – We will cover this more later.